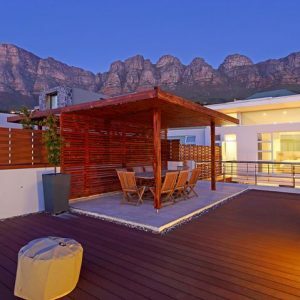 Get the best rate on luxury accommodation in Bakoven. 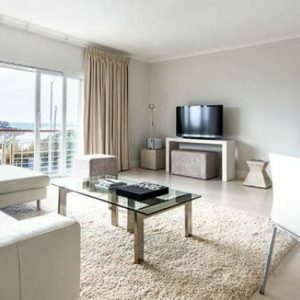 Holiday rentals offering space, privacy, a fully-equipped kitchen, hotel conveniences, and 24/7 local guest support. Bakoven is Camps Bay’s lesser-known sister and otherwise known as Camps Bay’s best-kept secret. 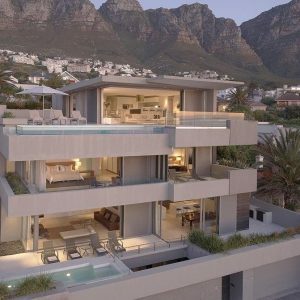 It's an easy 1km walk from the Camps Bay’s main stretch of beach and restaurants. 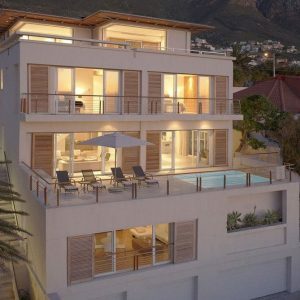 Bakoven is the quieter part of Camps Bay, and many visitors who do discover it, prefer this area to the main part of Camps Bay. 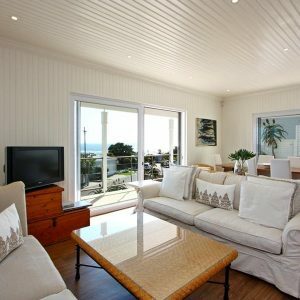 However, Bakoven is only a comfortable 10-15 minute walk from the Camps Bay beach and infamous restaurant strip. 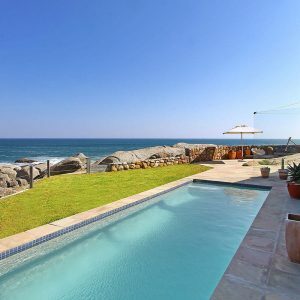 Beta Beach, which is Bakoven’s small exclusive beach, is a great family beach as it is well protected. 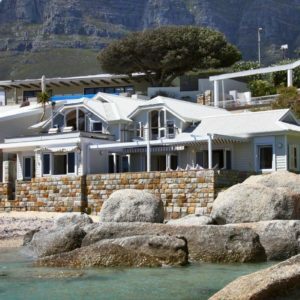 The small bay is surrounded by rocks, which provides the perfect shelter from the waves and is great for swimming. 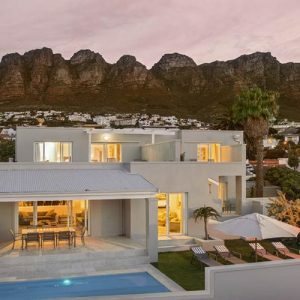 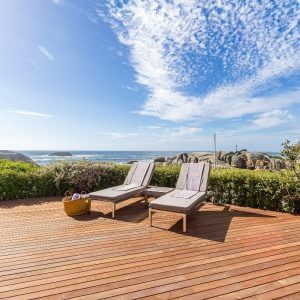 Accommodation in Bakoven is exclusive and there are only a few bungalows made available as holiday rentals in Cape Town. 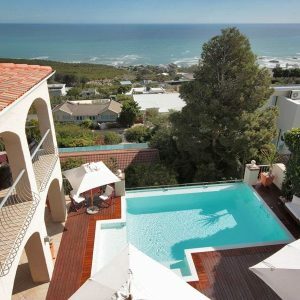 This 7 bedroom property is unique in that it is only 50m from the famous and secluded Bakoven and Beta beach.